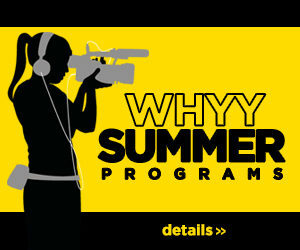 Penn Alexander School participated for its first year as a WHYY Media Lab school and students in the after-school media club produced several different films together. Basketball at PAS: This short documentary introduces viewers to the new basketball team at Penn Alexander. The Gayborhood: This documentary looks at the history of the LGBTQ rights movement in Philadelphia. It was produced by three PAS students and won honorable mention at National History Day. School Walk Out: This poetic documentary pairs found audio clips from the Parkland School Shooting with footage of the student walk out at PAS. The video includes Penn Alexander student thoughts on gun control. Dwight Evans: Penn Alexander students had the opportunity to interview Congressman Dwight Evans about some of the issues that are important to them. Zombies Episode 1: This video introduces viewers to the various types of zombies that they will encounter in the event of a zombie apocalypse. It also teaches viewers how to defend themselves and defeat the zombies, should such a need arise.